Now do you remember my great pal GB, who I spoke to about his great animated-adventure, entitled 'Strange Frame'? What? You don't? You naughty-naughty reader you! For your penance, I order you to do ten hail Mary's, nineteen push-ups, two squat thrusts, and to find some time to read this subsequent interview I did with GB about a convention he and his pals are holding in Hawaii. Go on. Shot. It'll be good for you. 1) In your own words how would you describe ‘Hawaii Con’? 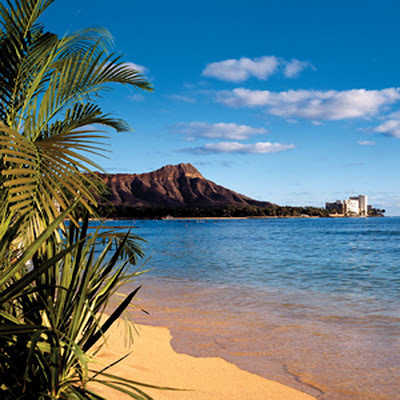 'HawaiiCon' has all the goodness of a regular convention plus a chance to hang on the beach and go on real adventures with your favorite stars. Personally speaking, I plan on going SCUBA diving with Patricia Tallman from 'Babylon 5'. Yahooo!!!!! 2) What gave you the idea to come up with convention? I was casting my new movie, 'Taken and Shaken', to be shot here in Hawaii, when the sci-fi actors and actresses I was speaking to said, "Why isn't there a convention held in Hawaii?". And I thought to myself, "Yeah. Why not?". Simple at that really. 3) Why Hawaii? Mostly because I live here, but also because the island in itself is a sci-fi / fantasy environment. We have an erupting volcano. Green, red, black, and white sandy beaches. A rain forest. Snow capped mountains. And alien landscapes so authentic that NASA tested the Mars rover here. All ripe for an adventure! 4) What theme tune taken from pop culture would you assign to this shindig? Emerson, Lake & Palmer's 'Karn Evil 9'. 5) If you could get a celebrity – either living or dead – to promote this gala extravaganza, who would you choose, and why would you want to choose this particular person? 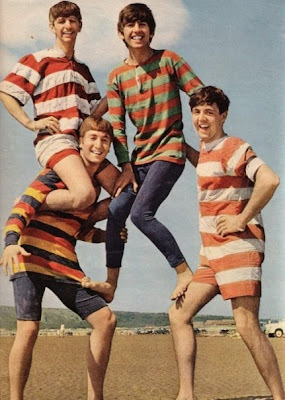 It's weird you ask me this question, because last night I had a dream that I time traveled to the 1960's and was hanging out with John, Paul, George, and Ringo. I told them what I was doing, and Paul said, "Write the info down mate, put the date on a slip of paper, and when the time comes in the future, Iʻll be there to give your groovy gig a boost". 6) While I’m on the subject of celebrity, who can we expect to see at this Con? Torri Higginson, Rachel Luttrell, Paul McGillion, Rainbow Francks and Andee Frizzell, from 'Stargate: Atlantis', are all scheduled to appear for a 10th year reunion. Michael Hogan and Kate Vernon from 'Battlestar Galactica'. Claudia Christian and Patricia Tallman from 'Babylon 5'. Voice actress Cree Summer (Drawn Together). David Franklin is coming with surprise guest for the 15th reunion of 'Farscape'. And we will be adding more in the coming weeks. 7) Anything else you’d like to mention, GB? First, we are putting together an experience that people will never forget. Imagine Rachel Luttrell singing live with the sun setting over the ocean. Imaging learning hula beside Claudia Christian. Going to panels with the top scientists in Astronomy or the folks working on the manned Mars mission. Maybe doing a little Dothraki LARPing on the beach! The hotel is incredibly awesome too. It looks like a star-ship landing on the beach, and the beach has been rated as one of the best beaches in the U.S.
People that buy their tickets now will have the chance to help us choose which comic book artists, authors, and other celebrities we will bring. Early bird pre-sales are available through Kickstarter. Discount tickets available NOW through 9/21/13. Limited quantities, first come, first served. 2014 Hotel and Con pass for two, only $650 total for 3 nights at the Hapuna Beach plus 2 Con passes for 3 days of events. 2014 Hotel and Con pass for three, only $725 total for 3 nights at the Hapuna Beach plus 3 Con passes for 3 days of events. 8) If ‘Hawaii Con’ had a motto, what do you think it would be? By sharing our Aloha, we make you feel like part of our ʻOhana (family). Now do you need to know anything more than that, dear reader? No. I thought not. Nothing except to check out what else HawaiiCon has in store by clicking on there facebook, kickstarter, and twitter pages. Go on. Give it a click. Or else you may miss out on an experience of a lifetime. Mahalo!